Year 7 French pupils worked extremely hard on their End of Unit assessments yesterday, so were rewarded with a quick game of Kloo. This was their first attempt at the game and will definitely not be their last. Kloo is a language learning, competitive card game, in which players earn points for creating sentences in French (or Spanish) and translating them (http://kloogame.com/). 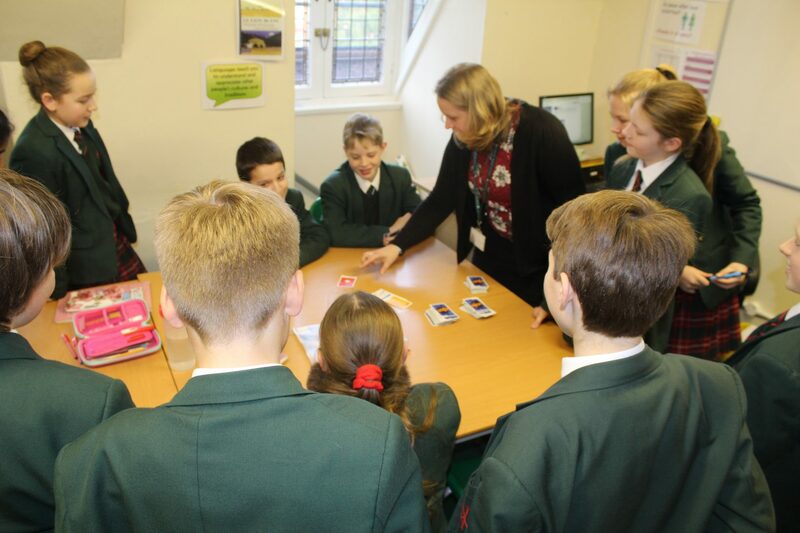 We have a few decks of Kloo cards in the department, and pupils enjoy us ing their language skills competitively from time to time.